Time for Things I Love Thursdays! 1. Everyone ready for the Superbowl?! I actually don't really give a crap about the football game part, but I love making fun snacks, having beers with friends, and watching the new commercials and halftime show! Does that count?? 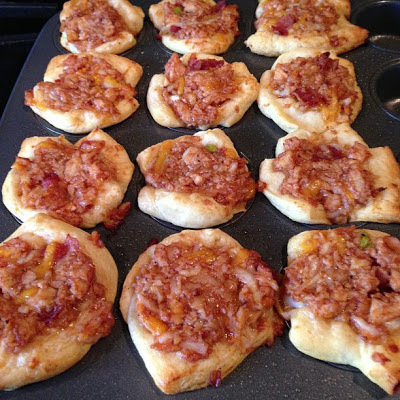 I think I will make these delicious little morsels this year. You can't go wrong with crescent roll dough. 2. In other news, I recently moved into a new apartment, so, if you follow me on Pinterest, you know i have been pinning an OBSCENE amount of home decor ideas! 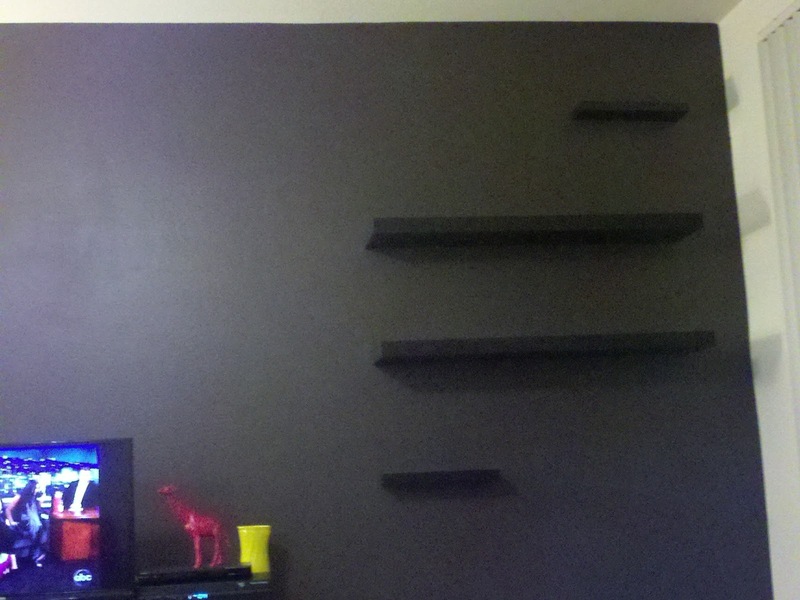 Last night I bit the bullet and hung up these 4 floating wall shelves I got from Ikea and Target. They were heavy, daunting bastards, but me and my glass of wine totally got it done...four hours later! I feel so accomplished!! Anyway, thankfully I located this gem of a tool, to find wall studs. It's so easy. 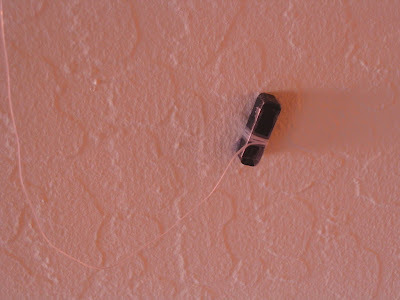 You grab the strongest magnet off your fridge, tie it to the end of a piece of string, read: dental floss, and swing it close to where you want to hang your shelves, and it will stick to any spots where there are nails or screws in the wall...aka where the studs are! Amazing. 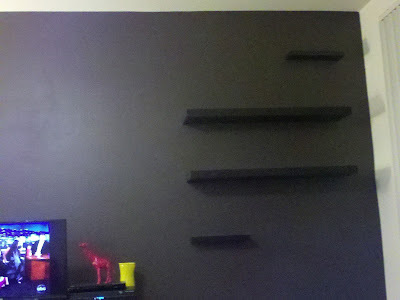 Saved me a trip to Home Depot to buy one of those actual stud finders, and more realistically, saved me from just trying to hang the shelves in the hollow sheetrock. So good job, internet! 3. 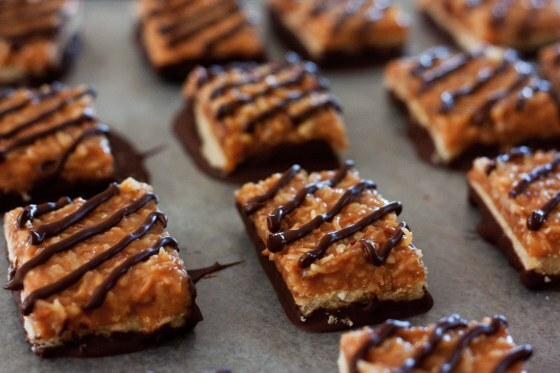 So, Girl Scout Cookie season is here!! I got my box of Tagalongs and Samoas from my co-worker's daughter yesterday! But when these boxes run out, and they will...soon...it is good to know we could always make our own! 4. I am loving these cute lace candle holders, too! Maybe for the patio table! You could use any color lace, and they are super cheap and easy to make with dollar store candles! 5. 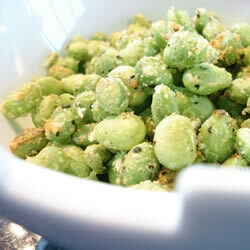 Lastly, I finally made these crispy, baked edamame, and they're amaze-balls! Similar to roasted chickpeas. And you could season them with anything you'd like. You just toss some frozen shelled edemame on a baking sheet with olive oil, grated Parmesan, and salt and pepper to taste. Bake for 15 min at 400 degrees! Add a squeeze of fresh lemon juice or more cheese at the end if you like. Got Limes? Make Lime Meringue Pie!